This handy easy-to-use tool for projects converts between dimensional formats including feet-inchfractions decimal feet-inch-fractions yards meters centimeters millimeters areas and volumes. * Built-in functions make for faster more accurate material estimates. * Quickly solve circumference circle area and arcs. 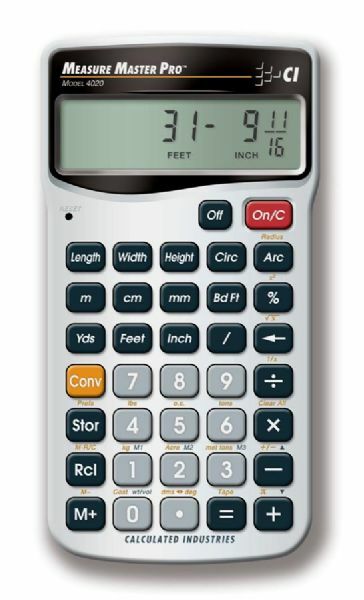 * Dedicated length width and height keys provide fast answers for area volume square-up and perimeter. * Find weight weight-per-volume and more. * Includes protective hard slide cover easy-to-follow pocket reference guides in English and Spanish long-life batteries and a full one-year limited warranty.